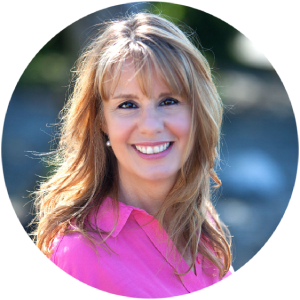 Discover how to attract your ideal vendor or landlord with my unique 7 Step Client Attraction Formula. As an estate agent, your job is one of the most important jobs there is. Seriously. Living in the wrong house, or the right one, can affect every single other element of your life. Think about it. Where you live, and how you feel about your home, can affect your health, your earning potential, your relationships, your emotional wellbeing; and of course, all these factors are amplified in those who you live with too. You have the very privileged task of being able to move someone from a house that could very literally be making them ill and broke, to one that fits them so well, that everything else just slots into place. What an honour that truly is. Understanding the importance of what you do, and taking responsibility for the outcome, is a vital step towards genuinely serving your clients. They need to feel your passion and commitment, to believe that you – and only you – can help them to move from where they are now, to where they want to be; a journey that is not only physical but also metaphorical. Helping someone move on, in every way that a person can move on, is a gift that you have the power to bestow. Use it wisely and appreciate the influence you have to change things. Acknowledging your ability to move someone from a house that isn’t right for them, to one that fits them perfectly, is important, but your client needs to feel that too, and to believe you can do it. The first step is to get them to accept where they are on the Pain – Desire Scale. Paul from Chichester has been trying to sell his home for 3 years. He’s dropped the asking price, repainted his kitchen and tried 2 different agents. He and his wife are trying to separate, but as they have a huge mortgage on the house, neither can afford to move out. They have an 8 year old son, who is becoming withdrawn and difficult at school, and they suspect the uncertainty at home is the cause. Paul works from home as an accountant, and having viewers traipse round his offices is very disruptive to his staff. On the left of the scale is intense unhappiness. This is where Paul in Chichester is. His situation is affecting his health, the quality of his family life and also his business. Things couldn’t be much worse for him right now, and he’s feeling pretty despondent about it. On the other end of the scale, over to the right, is his perfect scenario. Maybe it’s him living in an apartment, with a spare bedroom for his son to stay, and renting a small office nearby for his accountancy practice. He no longer has any money worries, has a good relationship with his ex, and is free to live his life on his terms. Most people selling their house, when asked, would rate themselves in the middle. Let’s call it a 5 out of 10 on the Pain-Desire Scale. Their situation isn’t terrible, and whilst their house is no longer appropriate for their lives, either in size, location, price, or any other factor, it’s not so bad that the situation is unbearable for them. Ask them about their next home, and they will talk about size, location and all-round suitability for their life chapter. So where is their pain and desire? If they don’t have a compelling need to move out of a house that is really not right for them any more, and a burning need to move into a house that is much more suitable for them right now, then how can you be of service to them? Your job is to sort the non-motivated vendors from the motivated ones. And that starts at the very beginning: with your marketing. You need to find the words and phrases to attract the best, motivated vendors. People you can truly help the most, like Paul. Downsizers are a prime example of this type of seller. They love their home; maybe they have lived there for decades, and their home is full of happy memories and too much stuff. They appreciate they should probably downsize, but they are reluctant. They haven’t found their next house, so they aren’t in a hurry. They would just prefer to put their house on the market at a very optimistic price, and see what happens. If, by some miracle, a buyer comes along who is prepared to pay that price, and by a second miracle, the house surveys up, your downsizing clients are unfortunately very likely to change their minds at the last minute, citing all kinds of reasons for not going ahead with the sale: their furniture won’t fit the new house, they think they could sell for more, it’s bad timing due to a family wedding/illness/holiday etc, etc. Avoiding downsizers – especially the reluctant kind – is certainly a valid strategy to ensure you don’t end up with lots of dead stock. 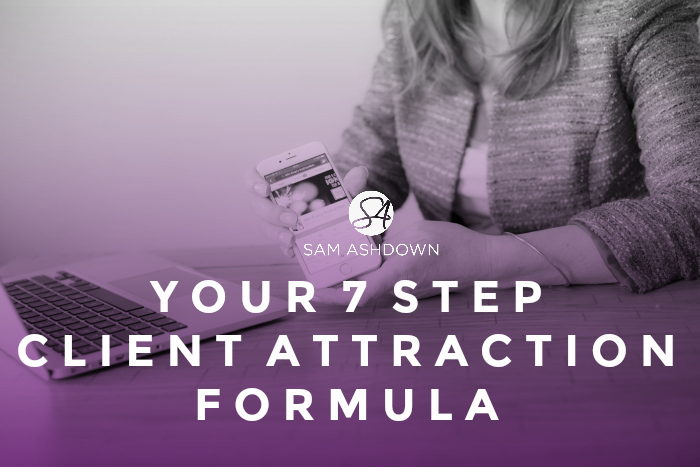 Here’s my 7 Step Client Attraction Formula for attracting motivated, high quality clients who will really value your service and follow your advice. STEP 2 – What are their problems? You don’t have the time to create your own. You’re supposed to be listing and selling houses. So if you’d love an always-on, lead generation machine, powered by the most cost-effective marketing platforms on the planet, magically creating new enquiries for your agency while you get on with listing and selling, get in touch now and take the next step to taking your content – and your agency – to the next level.